The answer is, of course, always both. 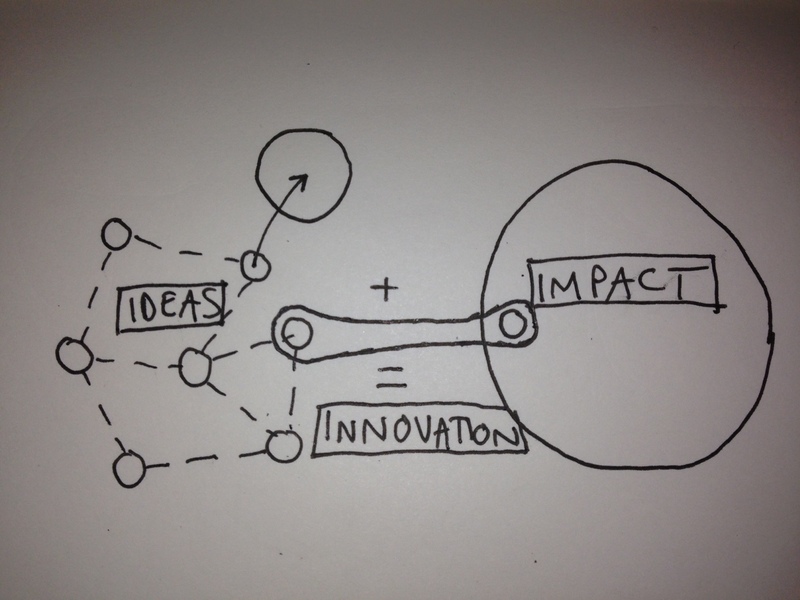 Though more specifically it is often, though not always, in the successful collaboration between large and small where the real innovation actually happens, as I’ve tried to capture in the following sketch. If we define Innovation as simply Ideas + Impact, it is most often the case in our experience the smaller companies that have the ideas but the larger with the ability to scale them and have real impact. And whilst it’s not impossible for a small company to become a bigger one through innovation, or for a larger company to create new value through something new, i do think it is getting progressively harder for both large and small businesses to innovate alone. And so the smart strategy is often about getting the best of both worlds and large and small working together and then innovation happens in-between. Large or small businesses? The answer is, of course, always both ….when they collaborate.. Your comment is almost verbatim the same as the first sentence of the 2nd paragraph so, er, I agree of course. I agree education institutions are vital players in the innovation ecosystem. However the incentives to collaborate are very different to companies so requires a different approach and is generally more difficult to make work in our experience. Have said that I think there should be much more interaction between academia and industry and they have a lot to learn from each other.